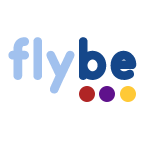 Flybe is a budget airline flying from 85 airports. Additionally they provide aviation services and are approved as both an Embraer Authorised Service Centre and Bombardier Approved Aircraft Service Centre. They are also an Approved ATR Maintenance Facility and BAE Recognised Finishing Centre.